UPDATED: According to CNBC, GoPro has hired JP Morgan to explore putting the company up for sale or to craft a partnership with a third party investor. “If there are opportunities for us to unite with a bigger parent company to scale GoPro even bigger, that is something that we would look at,” Woodman said. I had the feeling that when GoPro laid off over 300 people from their drone division after the first of the year, that the Karma was not going to have a second act. In spite of being the #2 selling UAV on the market last year, the action camera company has decided that enough is enough. The $800 Karma Drone has had its ups and downs, suffering from a massive recall just weeks after it hit the market, and then being reintroduced and rising to the number 2 best selling UAV, behind the DJI Phantom by the end of 2017. 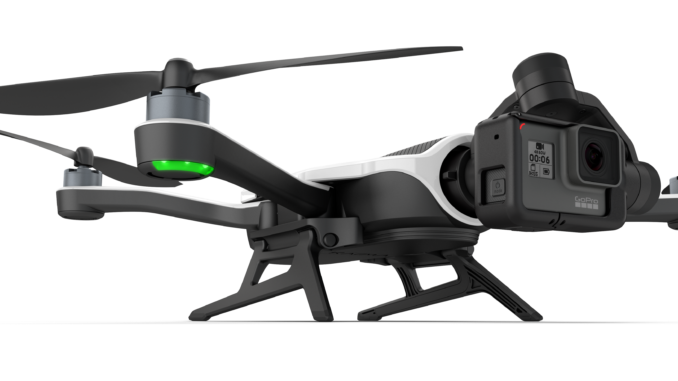 But GoPro says that margin challenges in an extremely competitive aerial market simply made developing a second generation drone untenable. That’s really too bad, too. After announcing software improvements to the Karma Drone last fall, it looked like the drone was getting smarter. But many believe that the design simply couldn’t keep up with DJI, even if they put out an upgraded 2nd generation to expand its capability. 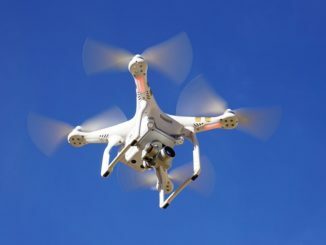 And a combination of stiffer government regulations and bad press from misbehaving drone pilots, makes it no surprise that enthusiasts are skittish buying something they may never be able to fly in their community. That doesn’t seem to be stopping DJI though. In the end, it may be that the GoPro Karma was one of those ideas that looked great, but came at the wrong time. 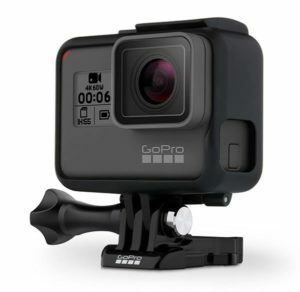 Had it come out in a few years earlier, who knows where GoPro would be right now? The other factor forcing GoPro’s decision were lagging sales numbers from the 2017 holiday shopping season, the worst for GoPro since 2014. GoPro’s fourth quarter sales numbers down to about $340 million, nearly 30% less than projections. GoPro says this was due to poor sell thorough of its HERO5. Well that makes sense. 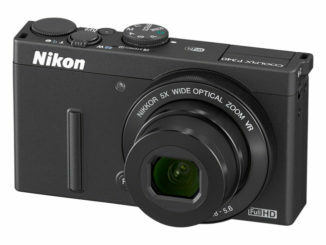 Why buy the previous model, at the same price, when you pay a little more and get the new one? It would’ve been a better idea to drop the price of the HERO5 to $299 and sell the HERO6 at the standard price point. The main knock on the HERO6 was that GoPro raised the price to $499, even though it was a vast improvement in image quality thanks to the new GP1 image sensor. 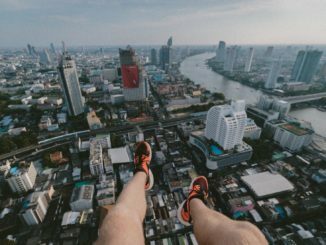 GoPro said in the 4th quarter report, however, that the HERO6 had performed as expected. Nevertheless, in an effort to improve the bottom line, the company is dropping the price to $399. No word on whether GoPro’s cost cutting will affect development of the Fusion 360 VR camera, but the company says that in 2018 they have a hardware and software roadmap that looks promising. A firmware update is due this month for the Fusion, which will include GoPro’s OverCapture and Angel View features. OverCapture promises to make the 360 camera the ultimate 2D platform for getting a clip from anywhere in the spherical field of view and it could really be the key to where VR wants to be. But didn’t he say the same thing in 2017? Granted, the game plan seemed to work last year before the lackluster holiday shopping season, so here’s hoping that this is just a speed bump and the company will be back in fighting form by the Fall.